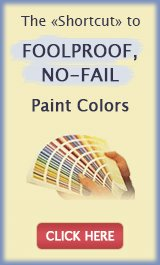 Waterproofing, or sealing a deck is something you must do every time you clean it (as a minimum) - if you are a prudent homeowner. This simple maintenance step is the best insurance against rot and costly wood repairs. It's also the smartest thing you can do if you want to keep your deck beautiful and enjoy it for many, many years. 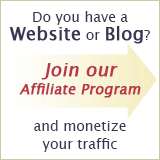 You know that the condition of your wooden deck can add to, or take away from the curb appeal and value of your house. But not everyone realizes that wood rapidly deteriorates without the protection of sealers. Bare or unprotected wood absorbs dirt and moisture like a sponge - and that's a perfect environment for mold, mildew, algae, and fungus growth (as well as black, green or gray discoloration). In addition to that, as the wood repeatedly swells and shrinks with moisture and temperature changes, it starts cracking, warping and splintering. Rainwater washes out the color of the wood and sunlight breaks down its cells, making the wood soft and porous. 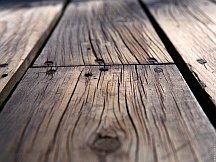 All the bad things you can avoid with a simple coat of wood sealer. Some homeowners leave their decks and fences unprotected, because they say they like the look of natural wood. 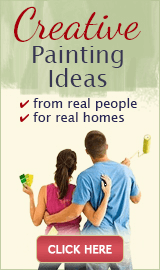 But you can have your cake and eat it too, with clear waterproof wood sealers! A clear wood sealer is a clear finish that allows the wood to weather gray naturally. It does not change the existing color of the wood, but enhances it and makes it richer. Such sealers will keep your deck waterproof for about a year, and must be re-applied annually. But if your deck has been neglected for too long, it's better to use a pigmented, wood-toned waterproof deck coating. Wood toners will add a slight hint of natural-looking color, even out the tone of the wood and bring back its original beauty. Semi-transparent wood stains will add even more color and correct even more surface imperfections, but still allow the natural grain and texture to show. Because of the pigment, such sealers will last longer and will keep the wood protected for up to 5 years. 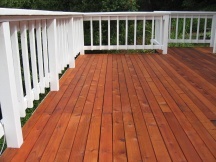 Deck cleaning and sealing should always go hand in hand, to keep the wood looking new, longer. 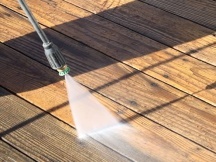 Every time you pressure clean your deck, you remove some of the water resistant protection along with the dirt, and the wood is left cleaner but at the same time more fragile. To restore the water-repellent barrier and protect the wood from rotting and warping, you need to seal it every time after cleaning (once it's dry). But rain is Nature's pressure washer, and it too washes out the wood's protection as it cleans - slowly but surely, year round. That's why you need to regularly check your deck for water-resistance and re-apply the protection coat as needed. Sprinkle a few drops of water onto the wood - if the water beads up and stays that way, the wood still has water-resistant properties. If the water soaks in within 5 minutes, then it's time for waterproofing. You can repeat this water test every spring and fall to monitor the condition of the wood and stay proactive throughout the year. Without protection, damage to the wood accumulates every day, and before you know it, you need to replace the wood that could have been saved with regular sealer treatments. Don't lose a dollar to save a penny.